“Now, therefore”, says the Lord, “Turn to Me with all your heart, with fasting, with weeping, and with mourning.” So rend your heart, and not your garments. Return to the Lord your God, for He is gracious and merciful, slow to anger and of great kindness; and He relents from doing harm. Ever since the first sin was committed in the Garden of Eden, man has been in rebellion against God. Rebellion continues to be allowed by God, but the day is coming when all rebellious people will be punished. 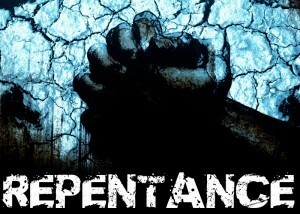 As sin continues to run rampant in escalating proportions, we know that God brings judgment if there is no repentance. Yet, we serve a merciful God who always gives a warning before He sends judgment. In our text above, Joel ministered to the people of Judah and prophesied that the land will see an invasion of locusts that will strike with the force of an army, devouring everything in its path. On behalf of God, Joel appeals to the people to come to the Lord with their hearts and repent to avert this coming disaster. In Joel 1:15, he speaks of “the day of the Lord,” which means the Lord is on His way. He prophesied of God’s wrath and spoke of the Lord’s appeal for man to repent before it’s too late. Knowing the goodness and mercy of God, we can come to Him with confidence that He will heal and forgive. It takes an inward change of the heart. Sincere repentance is surrendering your heart to God in both action and emotion. He does not want anyone to perish, so He’s giving more time for everyone to repent. But “the day of the Lord” will come unexpectedly as a thief in the night. What will the condition of your heart be when that day comes?